AMARNAâ€”the name breathes mystery and romance. 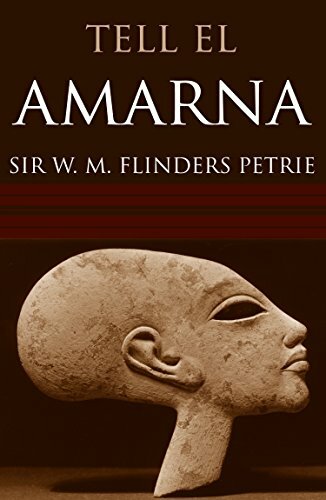 Called Akhet-Aten (horizon of the Aten) by its founder, 18th Dynasty Egyptian pharaoh, Akhenaten, it lies nearly forgotten today near a tiny village in Middle Egypt.Â First explored by Sir William Flinders Petrie in the last decade of the 19th century, this is his account of his marvelous discoveries there. He mapped palaces, temples, and common houses, finding statues and ceramics by the ton.